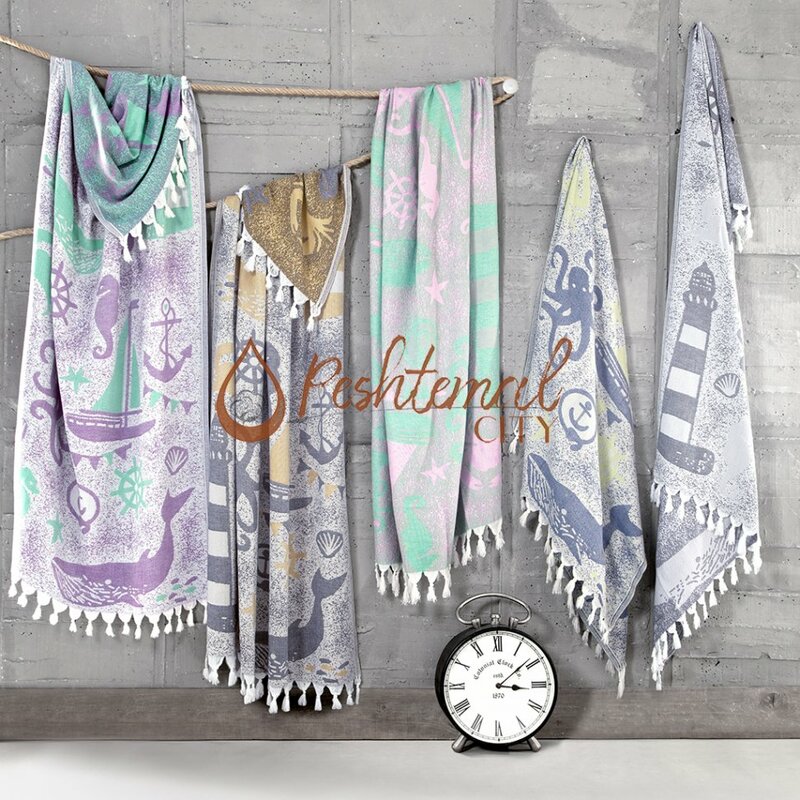 Inspired by the large variety of beautiful sea creatures Whale Peshtemal has a lively design. It has cute figures related to the oceans on its texture combined with bright and fun colors. Its design will bring joy to the hot summer days! Whale Peshtemal is woven 100% from high-quality Turkish cotton. It is absorbent, quick-drying, and soft. Its comfortable texture along with its fun design makes it perfect to use at beaches, pools, spas, and yachts!